On April 19, 2013, I told Huffington Post readers about what it felt like to be trapped in my home, "sheltering in place," while authorities combed the streets looking for accused Boston Marathon bomber Dzhokhar "Jahar" Tsarnaev. It happened two months after I'd moved into my apartment on the Watertown border, but before that I used to live on Harvard Street just blocks from the Tsarnaev's Norfolk Street home in Cambridge. I recalled that in 2010, a clutch of Russian spies was caught living in the house directly behind mine. According to the FBI, the spies had been scouting neighborhood kids as recruits before they were promptly deported. As the man hunt went on, black hawks, tanks, and SWAT teams were everywhere. When the shelter in place orders were lifted later that day, police located Jahar later that day hiding in a boat on Franklin Street. Our yard was close enough to hear the gun shots. Inside the boat was a note allegedly written by Jahar citing a variety of religious and political grievances he holds against the US government, including his opposition to US military involvement in the war on Muslims in Iraq and Afghanistan. Since Jahar was captured, I have followed his case, and I've attended his trial while covering it for the media. A part of me wants to know the media and the Department of Justice has done due diligence in this case, because if not, there might be a terrorist loose in my neighborhood. On the first day of trial, Jahar admitted to conspiring with his (now deceased) older brother Tamerlan to detonate two bombs at the Boston Marathon in 2013, killing three and wounding over 200. Jahar is also admitted to participating in the murder of MIT police officer Sean Collier, and carjacking Dun Meng four days later. Yesterday, Jahar's best friend Steven Silva took the stand and told jurors that he was the person who supplied the gun to Jahar that killed Collier. Silva also told the court that he told Rolling Stone magazine that Jahar "was one of the realest dudes I've ever met in my life." Silva testified to the fact that Jahar was his best friend for years, they dealt marijuana together, but he was in total shock when he heard the news about his friend's alleged involvement with the Marathon bombing because he never saw it coming. Silva described Jahar as "chill," well liked by his peers, and "the first person I'd call if I needed a ride or a favor. He'd just go, 'I got you, dog' - even if you called him totally wasted at, like, two or three in the morning." He also said that despite Jahar's training in boxing, wrestling, and martial arts, he never got in fights, and rarely got upset. 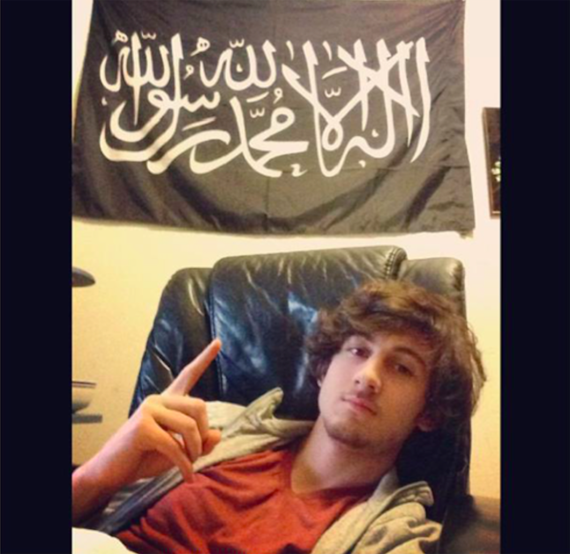 He also said that Jahar's Muslim faith was important to him, but he was far from radicalized. Up until his arrest in April 2013, Jahar wore Western clothing, drank alcohol, sold and smoked marijuana, had premarital relations with women, was interested in luxury cars, and respected other people's religious beliefs. Silva also said the only thing that really upset Jahar was when people referred to him as a "Russian refugee." According to Silva, Jahar was very clear that he was Chechyn, not Russian, and that "you can't be both." The wide spectrum of religious beliefs in this country should be a testament to the Constitutional tenets of freedom this country was founded on. Yet throughout the trial, many have struggled to understand whether Jahar's motives were religious, political, or something else. 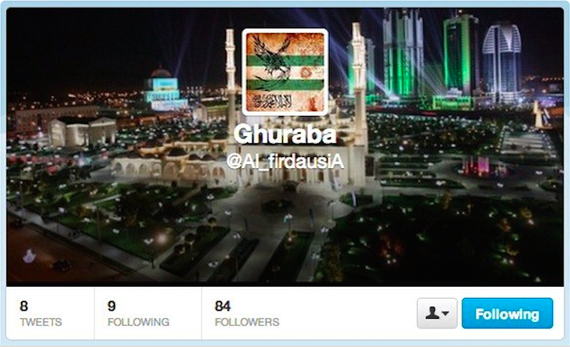 During testimony last week, an FBI agent incorrectly identified a picture Jahar posted on Twitter of Grozny, Chechnya, with an image of Mecca. He also confused Jahar's support for the Chechen national soccer team with support for radical Islam. The Russian Republic of Chechnya is a predominantly Muslim country with a long history of strife with Russia. Violent uprisings between Russia and militant Chechen separatist groups seeking to declare Chechnya an independent Islamic state remain problematic in the region. Yet the reasons why Jahar identifies so strongly with Chechen separatists is not entirely clear. According to Newsweek, Jahar was never a Chechen national. Although Jahar's father Anzor was born in Chechnya, he grew up in Kyrgyzstan. Jahar's mother Zubeidat was born in Dagestan. Anzor and Zubeidat met and married in Dagestan. Tamerlan was born in Dagestan, and soon after, the family moved to Kyrgyzstan, where Jahar and his two sisters were born. In 1999, Chechen forces invaded Kyrgyzstan, causing the family to flee to Dagestan. According to Rolling Stone, the Tsarnaev family arrived in the US on a tourist visa in 2002, sought asylum to escape persecution in Kyrgyzstan, and eventually obtained green cards that allowed them to legally reside in the US. To be clear, there is no evidence that Baiev or the ICCC was in any way involved in either the Russian spy incident or the Tsarnaev's horrific crime spree, and I don't to mislead you to think there is. The reason why I mention the Tsarnaev's ties to the ICCC and Baiev is that it shows just how deeply Jahar's family identified with Anzor's Chechyn heritage. And according to Jahar, you can't be Russian too. Yet according to Newsweek, Anzor used to hang out at the Russian Benevolent Society of Boston. In 2009, Tamerlan filed a report with the Boston Police stating that his father had been brutally beaten by a group of Russians after he offended a woman inside the social club. The incident left Anzor with post-traumatic stress disorder and head injuries so severe that he could not return to work. Anzor was also prone to bouts of depression and severe mood swings. In 2011, Jahar's parents divorced. According to this government report, in 2011, Russia notified the US government regarding Tamerlan's alleged involvement with militant Islamic groups in Chechnya, but the warnings were swept under the rug. Defense motions state that Tamerlan may have been an FBI informant who was expected to inform on Chechyn and Muslim communities, an allegation prosecutors say they have no evidence to support. Congressman Bill Keating also told WGBH that Russia had brought similar concerns about Tamerlan's friend Ibragim Todashev to the attention of US authorities before the Marathon bombings. On May 22, 2013, Todashev was shot and killed by an FBI agent in his own home during a "voluntary" interrogation with authorities. A report released by the Florida State's Attorney clearing the FBI of any wrongdoing states that the FBI first met with Todashev on June 28, 2012, around the same time Zubeidat was arrested for shoplifting. The FBI has not said what that interview with Todashev was about, and there is no evidence that it was connected to any members of the Tsarnaev family. Last week, Todashev's family filed a lawsuit in Federal court again the US government seeking $30 million in damages for his wrongful death at the hands of the FBI. A member of Todashev's family is expected to testify at Jahar's trial, but the purpose of that testimony has not yet been given. Although Jahar may have had plenty of axes to grind with the US government, CBS News reported that he took the oath to become an American citizen on Sept. 11, 2012. Seven months later, Jahar was identified as the suspect in the Marathon Bombings. Perhaps we will never really know why Jahar and his brothers committed such atrocities. Legal experts speculate that Jahar's attorneys admitted culpability for his part in the conspiracy to gain credibility in the eyes of the jury during the death penalty phase of the trial (if he is found guilty.) His defense team has rarely cross-examined witnesses. Judge George O'Toole has said that he "doesn't want to hear one word about Iraq or Afghanistan" during the guilt phase of the trial, and frequently shut down all lines of questioning regarding Jahar's family's culture, heritage and beliefs. Nonetheless, I hope eventually the trial will shed more light on Tsarnaev's motives so that the public has assurance of not only its' own safety, but the integrity of the system that's supposed to protect us.